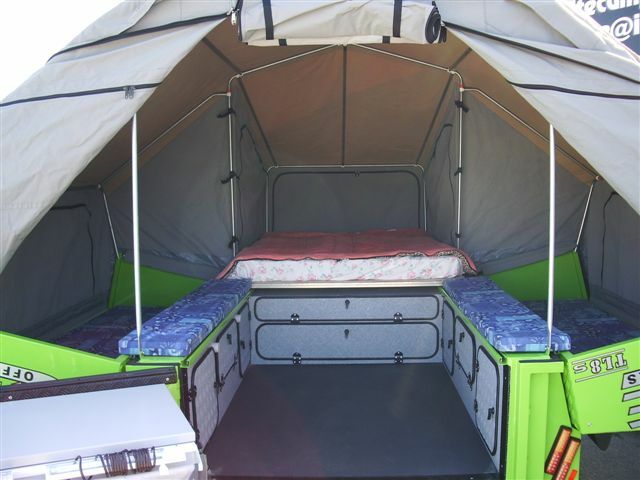 Western Australian Camper Trailer manufacturer Camprite have just released a new model named the TL8S. This model is similar to the TL8 with the same chassis, canvas etc, but has streamlined sides allowing for a lot more internal storage. Camprite will be attending their first eastern states camping show in Brisbane when they attend the Qld Caravan & Camping Show on at the RNA Showgrounds from the 7th to 13th June. There are no photos of this model on their website as yet.